REALTORS® Know How to Prepare Sellers – Before you sell, your home must be in the best condition possible. Your REALTOR® can advise you on what repairs need to be done, and they frequently know good contractors. You may have to have inspections done before you sell, and will probably have to do repairs. A REALTOR® can set up any required inspections and instruct you on how to prepare. Sometimes homeowners will take out a loan against the house to finance costly repairs, but this can’t be done while the house is on the market. A REALTOR® may help assess the situation, and then wait to list it until the repairs are completed. REALTORS® Can Help Sellers Prepare for Showings – “Staging is extremely important,” says Nicole. “That first impression is vital.” Not only do all of the repairs need to be done, but if you still live there, the place must be kept clean and staged. This means everything from maintaining curbside appeal to the little details, like placing out a plate of cookies or laying out your best dishes in a table setting. She advises that a home must be open and inviting, and that smells, pets and lighting must all be taken into consideration. “We don’t want a home not selling because a buyer can’t see their own furniture in the home.” Your REALTOR® may also advise you to de-clutter certain closets and rearrange rooms. They may explain which personal touches add a “homey” look and which things detract from a potential buyer envisioning their own decor. REALTORS® Can Help Get Buyers Through the Doors – REALTORS® not only get the traffic in, they know how to manage it. They can arrange and hold open houses in a way that gets as many visitors as possible. They also work with buyers so that showings are more convenient for you. This is especially important if you still live in the house. REALTORS® may also help weed through potential candidates so that you don’t waste your time with no-shows or non-serious buyers. “If a person needs to sell a house before buying another, the seller needs to know this,” says Nicole. This all factors in to final decisions and net proceeds. REALTORS® Know How to Objectively Negotiate – You may think preparing and showing your home may be stressful, but receiving offers can be difficult. “The goal is to get the most money as the seller, and as the buyer the goal is to look at market value and if it’s priced appropriately. You don’t want to present an offer that’s an insult to the seller," says Nicole. A REALTOR® can help you stay reasonable, without letting you take a lowball offer either. They will also be there to navigate a multi-bid and renegotiations. “Renegotiations fall apart all the time, and deals frequently don’t come through,” she says. “Each side has different concerns, and each party needs to know where the other stands.” Closing can be a confusing process, and there is a lot of paperwork to sign. Your REALTOR® has been through this many times and can explain everything you are signing and why. If you have any questions on anything, your REALTOR® is right there. REALTORS® Know the Area – “The key to a good agent is knowing the area,” says Nicole. They know what the property values are, and have a good idea of future market fluctuations. They also know where and how to list your property for best results. Having a home listed on MLS is not enough. A good REALTOR® that is knowledgeable of the area is essential to getting the best deal on your home. 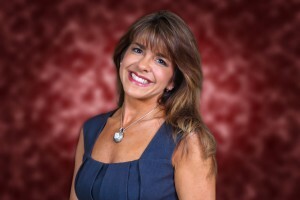 To learn more about what a REALTOR® will do for you, visit www.kim4yourluxuryhome.com or call 281-655-4443 or 281-652-6725. Like any profession, there are good and bad Realtors. I’ve experievced both. How about some tips to help clients find a good ,professional agent, not just a Realtor? The post has really good piece of information. Well, selling your house is not just putting a sign which says “for sale”. When planning to sell your home in essex county NJ then working with a real estate agent has lots of benefits as they can help you market your home by exposing it to as many potential buyers as possible.